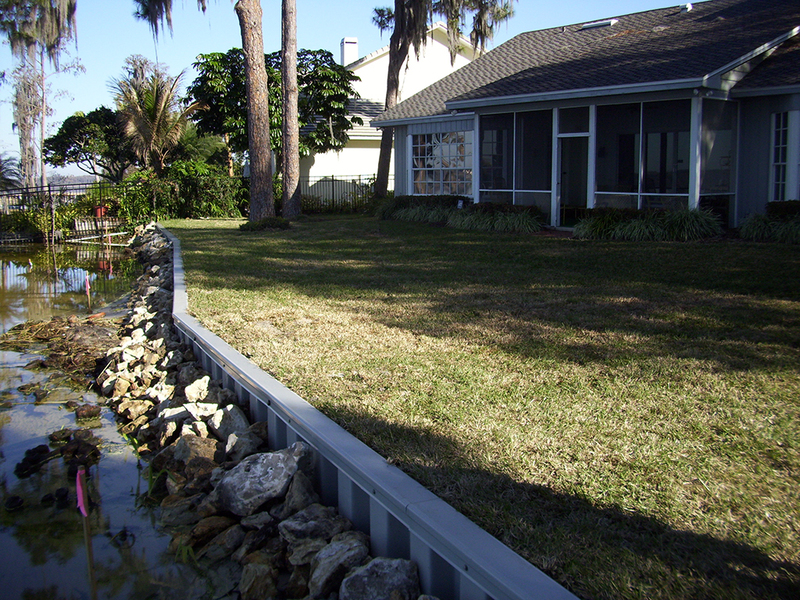 Other contractors that perform marine projects told the owners of this property located in the Bay Hill subdivision on the Butler Chain of Lakes that a seawall could not be constructed on this property. They told the property owner that they could not get a permit. The property owner had lost over 14' of shoreline depth as a result of previous hurricanes, storms and boat traffic. While they were unable to get that lost property back, we were able to get a vertical wall permitted through Orange County and The State of Florida. 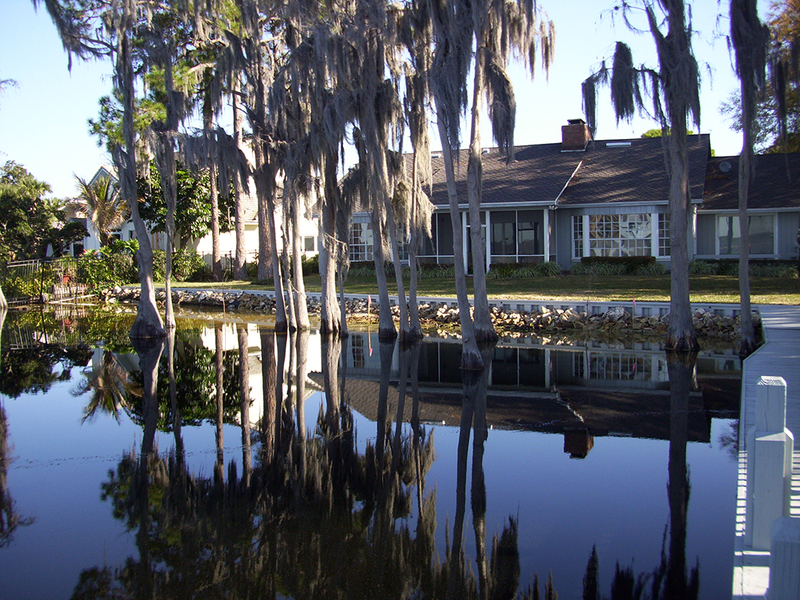 The big factor in the level of difficulty of acquiring the permits was that The Butler Chain of lakes located in West Orange County is labeled as Outstanding Florida Waters. The permitting took (6) months and the construction took (3) weeks. The wall is constructed of CMI vinyl seawall panels topped with a powder coated aluminum cap. The wall is held in place by aluminum tiebacks and deadmen. 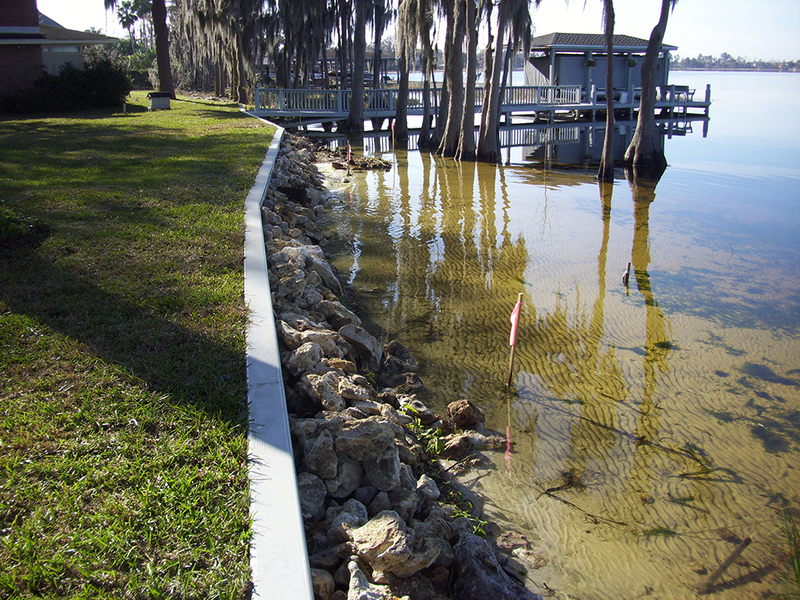 The stone revetment required by Orange County is Florida Field Stone placed on top of filter fabric. This wall will now protect our customer's property for a lifetime.